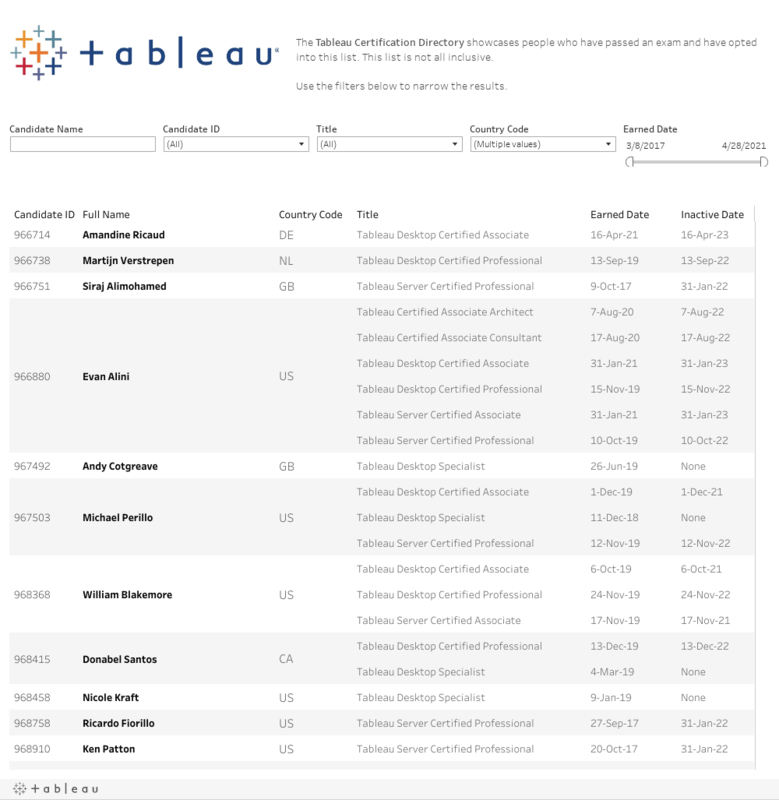 People who hold a Tableau Certification title have proven expertise, confidence and differentiation amongst others. See who they are below. Is your name missing? You must opt-in to be included in the directory which you can do from your Title Dashboard in your LES Account. Please allow up to seven days for your name to appear on the list. If you are attempting to verify someone’s credentials, search by Candidate ID as a unique identifier.